Our 5 Favorite Moments of 2017. As 2017 winds down to its final days, it brings us great to joy to look back on what was an incredibly productive and successful year at CSI Aviation and Seeker Aircraft. Read along as we recap our favorite moments of this year! given to employers for their support of National Guard and Reserve Employees by the Department of Defense and we are beyond honored to be one of only 15 winners out of more than 3,000 nominees. 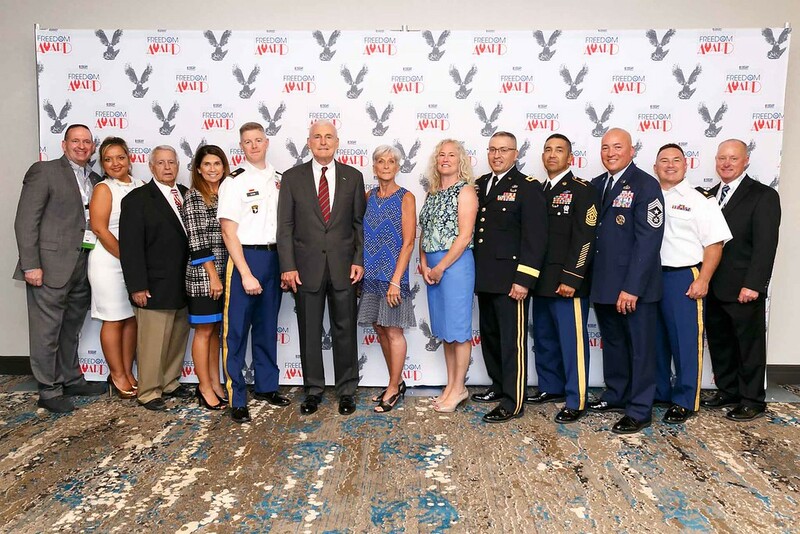 Freedom Award winners are required to demonstrate exceptional support for their employees who serve in the Guard and Reserve through leadership and company practices. As a veteran-owned business, it has always been a top priority of ours to provide opportunities to military members and to support them as they work to protect our country. For that reason, winning this award was especially meaningful and an accomplishment we will not soon forget. Last year, we rec eived full certification by the New Mexico Department of Health to fly critical and specialty care medical flight missions. This year, our medical flight services division received a key accreditation from the National Accreditation Alliance Medical Transport Applications (NAAMTA) Accreditation program. In order to get this accreditation, we underwent a rigorous audit process that included a full review and assessment of company policies and procedures. It was a long process, but in the end, it was completely worth it. This third-party accreditation entity recognizing our commitment to quality and safety in our medical flight services division was very gratifying and we greatly look forward to the future of this part of our company. This year, we took a leap into offering our services to markets in new states and new countries. In August, our subsidiary, Seeker Aircraft added KAHA Aviation Solutions as an aircraft dealer in Buenos Aires, Argentina. This partnership marks Seeker’s first expansion into South America and we are incredibly excited to see what’s in store for them in 2018! Also, this September, the Texas Department of State Health Services certified CSI to fly critical and specialty care medical flight missions in Texas! Our medical flight services division is very dedicated and hard working and we were thrilled to see the department grow so much this year. In September, Hurricane Harvey wreaked havoc on Texas, our neighbor to the east. Hearing about all of the devastation caused by such an uncontrollable disaster immediately got everyone at CSI and Seeker wondering what we could do to help. We jum ped into action and deployed the Seeker SB7L-360 to Texas to assist local authorities with hurricane damage assessment. 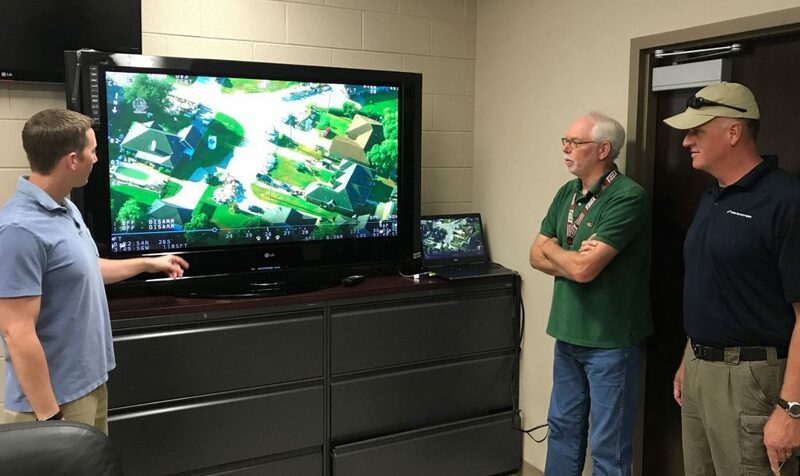 The Seeker was outfitted with HD sensors that allowed us to locate and identify structures partially obstructed by flood waters and debris, in addition to providing high definition video of impacted areas and damaged infrastructure to law enforcement and local authorities. Of all the missions the Seeker has flown, aiding in the Hurricane Harvey aftermath is one that will always mean a great deal to us. We’re very honored that we were able to play a part in the recovery efforts. 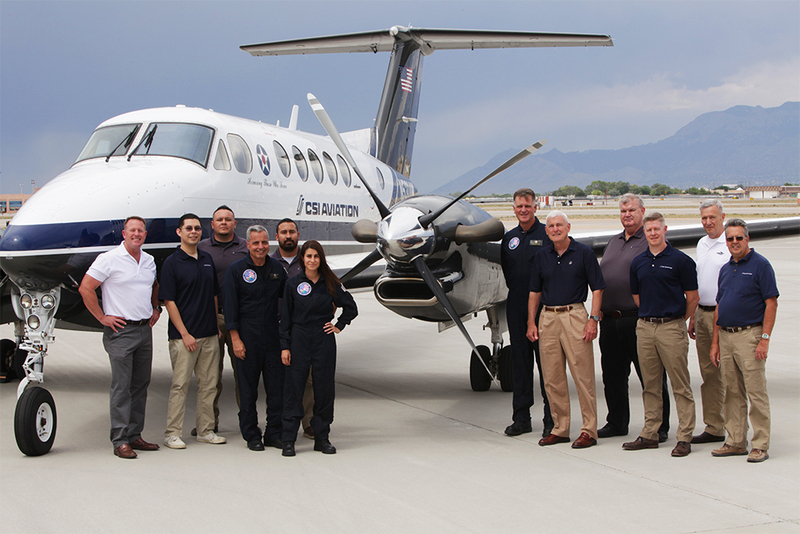 We are already the proud owners of a 200 and 300 King Air aircraft, and this year we added a King Air 350 to our fleet! The model accommodates two full stretchers and the most up-to-date medical transport equipment, which allowed us to complete our first, dual-patient medical flight. The flight moved two critically-ill patients from Louisiana to Florida and was conducted with only a 1-hour aircraft launch time! With so many advances in health care, we saw a real need among medical facilities for multiple patient transport and we were thrilled to obtain an aircraft that gave us the ability add this new capability to our long list of services. After 40 years in business, you may think things might start to get stagnant. But if 2017 showed us anything, it’s that there is always room to grow, goals to achieve and people to help. We owe all of our successes to our supporters and each and every employee that keeps CSI and Seeker going. We can’t wait to see what 2018 has in store for us – stay tuned to find out!